Home » Building Guide » How To Find Land…FAST! If you haven’t signed contracts for land yet and want some help in tracking down some land to buy, you’ll find the following information really useful. Time and again we speak to clients who want prices and designs for a home, but they haven’t even started searching for land yet. If this is the case, you really need to get going on the land part. Finding good land is not a five-minute job. It can be time consuming to find a block that’s just right for you. Sure, Australia is a big country and there IS plenty of land. But there are not always a lot of choices that match what you’re looking for. Things like being close to schools, major shopping centres, the right neighbourhood, the right land size, overlooking water/river/park/views, a price that matches your budget, being close to work, the right aspect, not on a corner of two streets or maybe you do want on the corner, close to transport like trains and buses…the list goes on. Regardless, you’ve decided you want to build your own home and need some land and you want it fast! Here’s some ideas, tips and places to visit that you may not know about or haven’t thought about. This list is in no particular order and is not necessarily comprehensive. This is probably the most expensive method of finding land, but possibly the most efficient in terms of your time involvement. In other words, you delegate the task of finding land to someone else. A ‘buyer’s agent’ is a specialised professional finder that seeks out land based on your requirements. They research and evaluate land; present options to you and negotiate on your behalf. A buyer’s agent is different to a real estate agent. A buyer’s agent works exclusively for and represents you, whereas a real estate agent (or selling agent) represents the seller. As of 2002, there is an organisation called the Real Estate Buyers Agents Association of Australia. This organisation sets standards to protect both you and agent’s interests. You can view their ethics and standards at http://www.rebaa.com.au and view a list of members at http://www.rebaa.com.au/index.php/members if you want to find someone to start working with. If you’re not in the construction industry, you probably don’t know who the bigger players are for land development. off individually to make a profit. http://www.stockland.com.auConsidered the largest blue-chip developer in Australia, we’ve had a lot of dealings with Stockland over the years and overall a very well run company. Usually good land on the larger side and always well designed and serviced with power, water, sewerage, etc. An easy developer to deal with. http://www.colliers.com.auColliers are an exclusive land marketing company, but have dozens of estates around Australia. They can email you a PDF document of all their estates so you can narrow in on what you like. http://www.delfinlendlease.com.auA large developer of whole suburbs, not just smaller estates, Delfin Lendlease tend to have smaller land in general and not as many locations as Stockland. Another large developer with interests mostly on the eastern side of Australia. They are a quality developer with a variety of estates including waterfront. A great way to thoroughly blanket a suburb is to email all the local real estate agents in that area. What you need to do is tell them what you want, what you don’t want, your budget and timeframe and you may be surprised at what they come up with. Even if they don’t have a block of land on their books right now, because they earn when they sell they will have incentive to keep their eyes and ears open for you. 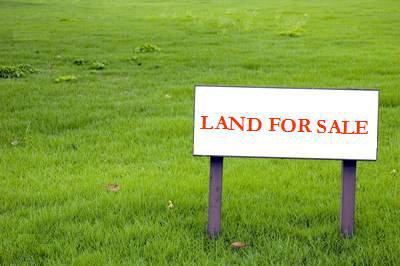 Sometimes they will approach land owners who don’t intend on selling yet to see if they may be willing to sell so they can gain a sale from you. This means you can sometimes get to a block before it even hits the market. (Note: If any of the above links don’t work, it means their web site has changed recently. In this case, you can find your particular state’s Real Estate Institute from the Real Estate Institute of Australia site). Some of the nationwide real estate agents have a search function on their own web site. PRD Nationwide (http://www.prdnationwide.com.au) have always been very active in land sales and is certainly worth checking out. We can’t say the same for all the other general real estate agents. It might seem really obvious, but taking a day out to simply drive around the suburb(s) you’d like to build in, can reveal some great options. For example, not everybody sells their land through a real estate agent, mostly due to a previous bad experience or not wanting to give away large commissions (i.e. $5,000 to $15,000 per sale). What this means is that you may never find these places searching on the internet, but you will find them by driving around and spotting them yourself. You can also find a property before it hits the internet. For example, the owner or agent may be placing a sign on the site just as you drive past and you catch it before it goes up. 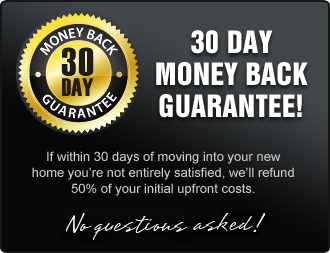 Dealing direct with the owner will save you thousands of dollars. We’ve just typed the search term “land for sale” into eBay (http://www.ebay.com.au) and there are fourteen results. Admittedly, four of these are selling part of the moon (we assume you don’t want to build on the moon), one is industrial, one is overseas and three of these are potential new home locations. Obviously these listings come and go frequently, but eBay might just have something, so give it a try. There are various classified type web sites that are now nationwide and they sometimes have great bargains. Remember, not everyone wants to use a real estate agent due to their commission structure so owners save money by selling direct using classified ads. There is a growing list of smaller web sites where owners can sell their land for much less cost than using a local real estate agent. You may have heard of these web sites if you’ve spent any time looking on line or bought or sold property before, but not if you’re new to Australia or living overseas. One major feature you may have overlooked with both of these web sites, is the ability to set up an email alert. With an email alert, you can enter the details of what you’re looking for and when a block of land that matches your criteria is found, an email is automatically sent out to you. An email alert is a much more efficient way of searching and saves you checking the site every day or week. Make sure you don’t make the match criteria too specific as you could potentially rule out good blocks. If you’d like us to review a block of land you’re currently looking at or considering buying, we’re happy to give you some honest and sensible feedback (no charge). Please call or email us. Contact details are shown by clicking on the green button below.